As we celebrate 30 years since the Summer Of Love, it seems fitting that tens of thousands of people are keeping the spirit of rave alive by attending an illegal rave-meets-festival in France this week. 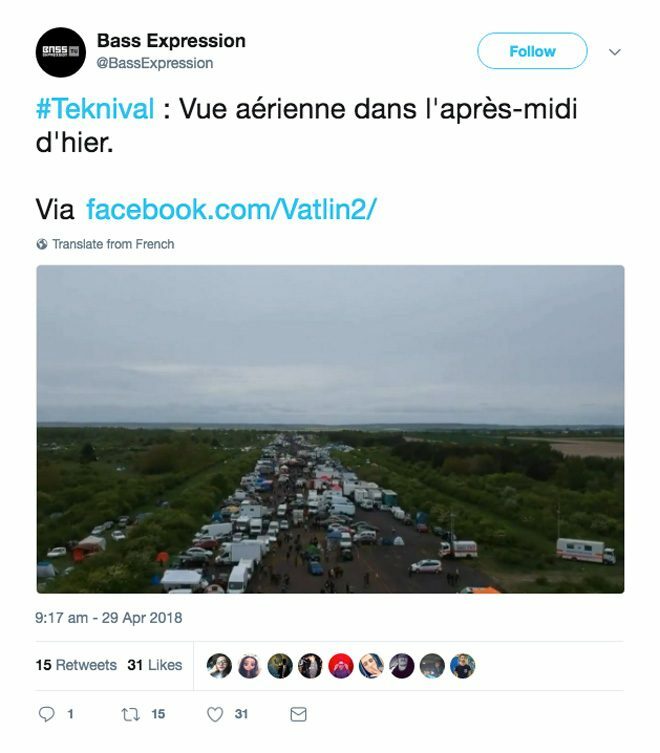 Teknival 25, taking place in Marigny, Marne, has been met with a no-no from local authorities, but the event's organisers are still going ahead with 60,000 people in total expected to pass through. 10,000 turned up on Saturday, according The Connexion, but the party doesn't officially begin until tomorrow (May 1). Authorities prohibited any “festive gathering of a musical nature" in Marne, after talks between the two parties broke down. They also tried to scupper the delivery of sound equipment and have warned there will be "various reinforcements" on the site. Organisers have asked festival-goers to ensure they clean up their mess "to avoid the degradation of an area and the condemnation of the participants." Teknival 25, aka Frenchtek 25, welcomes soundsystems from France and across Europe. The amount of Illegal raves in London have doubled in the space of a year. One that took place recently in a disused Toys 'R Us store was shut down by police. 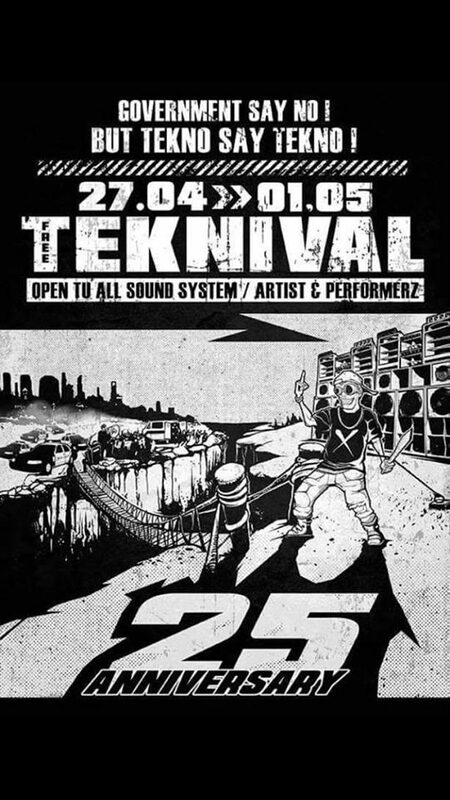 See the flyer for Teknival 25 and watch some footage below.